Welcome to Time, Talent, Technology – an Erasmus Plus collaboration project to explore teaching and learning practices in schools in Denmark, Finland and the United Kingdom through joint research visits. Husk pas. Der er bestilt flybillet med indtjekket bagage. 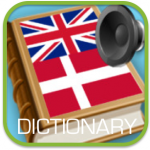 Der er bestilt enkeltværelser inkl. morgenmad alle dage. Husk at hver enkelt skole selv betaler for mad, der ikke er en del af programmet. Hjemrejse fra Helsinki til CPH Lufthavn: Selskab/fly: Norwegian D8 262, torsdag d. 21. september 2017 kl. 19.20 med ankomst kl. 20:00. Purpose: The purpose of the programme is to explore, discuss and learn from how each of the involved schools and nations navigate and use Time, Talent, and Technology to strengthen learning and the quality of schools. Read more here: 3T Feb update 2017. 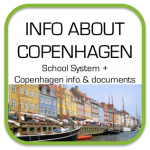 We have six Copenhagen schools involved from the Danish side, three each year. This means that involved Danish school teams will be conducting two research visits abroad and hosting one visit at home. Hopefully the relationship between the people involved will grow over the course of the project, igniting a continued partnership between schools from our countries. The three national lead partners are Helsinki University (Finland), Westfield School (UK) and Autens (Denmark). 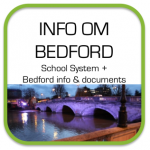 In Denmark we run it as a close partnership with the City of Copenhagen, led by head of school at Korsager, Peter Aksten, following a series of previous successful partnership visits between Copenhagen and Bedford. From Autens you might meet Thorbjørn, Lene, Mette or Martin who at various times during the project coordinate, facilitate and lead the project in collaboration with Peter. The partner responsibility is to lead and coordinate the project in compliance with the mission of the project, the Erasmus application and the EU funding. The focus of the project is on Time Talent and Technology based on the teachings of Pasi Sahlberg. How does each country develop them? What are the differences? Common practice? How could we learn from each other how to maximise the impact of these? What is the philosophy behind the practice, what can be changed? What is transferable? Each of the 3 exchanges in the first year will end with a joint presentation by the two visiting countries on their findings.